The 'Long-term Servicing Branch' of Windows 10 was initially aimed at enterprises that wanted to avoid Microsoft's Windows-as-a-service model and delay frequent feature updates. Here's how it's supposed to work. Windows 10 powered to its third anniversary this year, but one branch, identified by the initials L-T-S-B, remained an enigma to most corporate users. 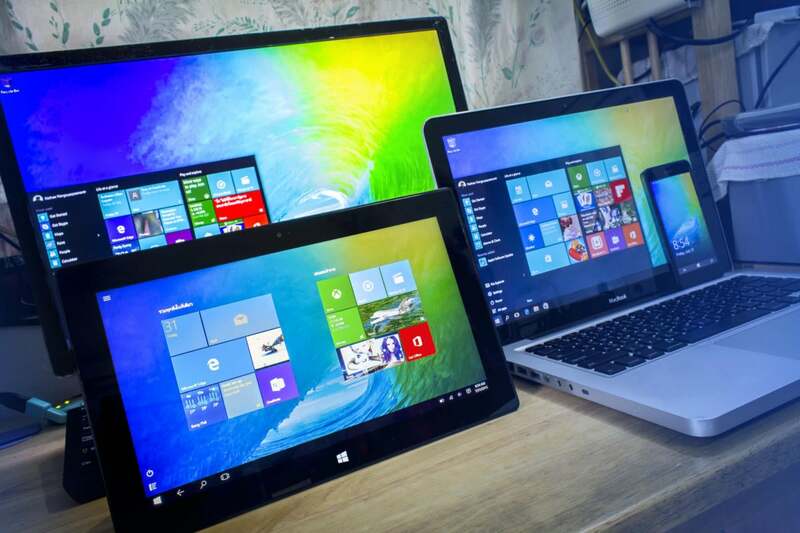 LTSB, which stands for "Long-term Servicing Branch," was among the pillars of Windows 10 in the months leading up to, and for months after, the mid-2015 roll-out of the operating system. For a time, it seemed that it had a shot at becoming the Windows 10 for enterprise because it was seen as a calm port in a storm of radical change. That hasn't happened, in part because Microsoft has steered customers away from LTSB. Just what is LTSB? And what has Microsoft done to make it an afterthought? So what is Windows 10 LTSB? Officially, LTSB is a specialized edition of Windows 10 Enterprise that promises the longest intervals between feature upgrades of any version of the operating system. Where other Windows 10 servicing models push feature upgrades to customers every six months, LTSB does so only every two or three years. That means fewer changes during a set timeline, a less-involved upgrade effort, and fewer disruptions as well as fewer possibilities for applications breaking because of a modification of the OS. If LTSB stands for 'Long-term Servicing Branch,' what's this 'LTSC' acronym I've seen? When Microsoft dropped multiple labels for Windows 10's release tracks – those now retired included "Current Branch" and the unwieldy "Current Branch for Business" – for the single "Semi-Annual Channel" (SAC) it also debuted "Long-term Servicing Channel" (LTSC) to match. Although LTSC could be viewed as the mechanism that updated and upgraded the actual operating system, which went by the LTSB moniker, Microsoft has shifted to using the former exclusively and ditching the latter. Yes, it's confusing. But then, it is Microsoft we're talking about. How often does the LTSC update Windows 10 LTSB? That's a question so good it comes with more than one answer. Windows 10 LTSB does receive the usual monthly security updates. The twice-annual feature upgrades delivered to other channels will not be offered to LTSB systems. Microsoft upgrades the LTSB "build" every two to three years. Those upgrades, however, are optional, or at least optional to some degree (more on that later). Each LTSB build is supported with security updates for a decade, the same 10-year lifespan Microsoft has designated and maintained for ages. The decade is split into two equal halves: "Mainstream" support for the first five years, "Extended" for the second. For Windows 10 Enterprise 2016 LTSB, Mainstream support ends in October 2021 and Extended stops in October 2026. What's the current Windows 10 LTSB? When is the next one supposed to show up? This question's a tough one. The current LTSB should be Windows 10 Enterprise LTSC 2019, which was introduced Oct. 2. But it's not. Microsoft bases LTSB on a specific Windows 10 build, in the case of LTSC 2019, the 1809 code. Essentially, Microsoft picks a feature upgrade and labels it LTSB. So when the Redmond, Wash. developer withdrew Windows 10 1809 from the Windows Update service and manual download websites, it also revoked access to LTSC 2019. The firm has given users no new information about progress in re-releasing 1809 in more than a month. For the time being, then, Windows 10 Enterprise 2016 LTSB, which was based on the mid-2016 Windows 10 1607, remains the latest available version. The even earlier Windows 10 Enterprise 2015 LTSB – based on the July 2015 debut version of the operating system – still receives security updates, of course. Note: Although Microsoft said in May 2017 that the next LTSB would ship sometime in 2019, it changed its mind in early 2018, saying in February that a LTSB would launch in the fall. A lot that makes Windows 10, well, Windows 10. Eschewing the regular feature upgrades means that LTSB does not include Edge nor any Microsoft Store (Universal Windows Platform, or UWP) apps, whether Redmond-made or third-part, because the browser and those apps constantly change and need updating. Also AWOL: the Cortana voice-activated digital assistant and access to the Microsoft Store. That said, LTSB looks and runs just like any other Windows 10 edition. No one will be fooled into thinking it's Windows 7. Can we defer security updates if we're on LTSB? Servicing tools such as Windows Server Update Services (WSUS) and System Center Configuration Manager (SCCM) let administrators delay the monthly security updates - which Microsoft calls quality updates - just as they can postpone those same patches reaching machines running other versions of Window 10. Why does Microsoft make LTSB available to customers? Plainly put, it was a sop to the criticism very early on about Windows 10's accelerated development and release tempo. Customers had become accustomed to upgrading Windows every three or more years, with the emphasis on more in the enterprise. The announcement that that would change to multiple releases each year - initially, three annually - was a shock. Microsoft tried to soften the blow by offering a schedule very similar to the slower cadence familiar to IT: Upgrades that appeared every three years or so, with little or no feature changes in between, and an update model that provided only security fixes. In a nutshell, that's how Microsoft described Windows 10 LTSB at the start. Although Microsoft always opined that LTSB was suitable only as a minority choice - one for special situations, such as machines that simply should not be frequently touched, like those that control industrial systems or ATMs - early in Windows 10, there was significant talk among IT administrators about choosing LTSB for broad swaths of their PC inventory. Why? Because they weren't convinced they could, or even should, snap to and adapt to Microsoft's pitch of "Windows as a service" (WaaS). Okay, so which PCs should be running LTSB? "Specialized systems - such as PCs that control medical equipment, point-of-sale systems, and ATMs - often require a longer servicing option because of their purpose," the company's primary Windows-as-a-service documentation states. "These devices typically perform a single important task and ... [i]t's more important that these devices be kept as stable and secure as possible than up to date with user interface changes." "As a general guideline, a PC with Microsoft Office installed is a general-purpose device, typically used by an information worker, and therefore it is better suited for the [non-LTSB servicing channels]." Has Microsoft changed the support rules for LTSB since Windows 10's debut? Yes, and in a way that makes it difficult, if not impossible, to widely deploy the edition. Over a year and a half ago, Microsoft added another law to the Windows 10 support scene, one that analysts contended invalidated LTSB's advantages over the shifting features that mark the other versions. Originally, Microsoft promised to support each LTSB edition for a full decade. But in early 2017, the company ruled that "LTSBs will support the currently released silicon at the time of release of the LTSB [emphasis added]," and that as new processors appeared from the likes of Intel and AMD, "support will be created through future Windows 10 LTSB releases that customers can deploy for those systems." The bland language disguised a huge change. Rather than be able to stick with a single LTSB edition for five, even 10, years, enterprises will need to adopt virtually every LTSB version as they buy new PCs powered by newser processors. Can we upgrade one LTSB to another LTSB? Yes. But there are conditions and stipulations. No surprise, really, what with Microsoft's overall attitude toward the long-term build. "Long-term Servicing Branch can be upgraded, one to another," said Todd Furst, a Microsoft technical architect, in a presentation last year at his firm's Ignite conference. "You can upgrade it in place, but there's some caveats. You basically have to do a full OS deployment. There's no special tools that say, 'Just do the upgrade for me.' You have to push the whole OS down. If you want to do the servicing rings inside of Config Manager or Windows Update for Business, that's only for Current Branch." In other words, LTSB/LTSC requires full-size media to upgrade and new versions of the build are not published to Windows Update or available through WSUS (Windows Server Update Services). Where do you get the next LTSC then? At the Volume Licensing Service Center (VLSC). What's one of the least-understood aspects of LTSB? We couldn't stop at just one, so we highlighted a pair of points about LTSB. First, although IT admins can switch PCs from LTSB to plain Windows 10 Enterprise – so those machines can receive feature upgrades, for instance – such a change is only supported when moving to the same or later SAC. If an enterprise has been running Windows 10 Enterprise 2016 LTSB, for example, it can shift only to Windows 10 Enterprise 1607 or later (meaning 1703, 1709 or 1803). How long is LTSB supported? Ten years is usually the answer you see to that one. But it would be, if not wrong, then misleading. Windows 10 Enterprise LTSB is guaranteed only five years of support - from the time of its release, not its installation - if the underlying license does not have SA attached. With SA, a specific LTSB edition is supported for the full 10 years. We run Windows 10 Enterprise and pay for Software Assurance, but we may drop SA. Anything we should know? When a company drops SA at the end of a contract period, it is entitled to roll out only the current Windows 10 Enterprise LTSB. It cannot later upgrade that version to a newer LTSB when one is released. Customers have a 90-day window to switch the current operating system from Windows 10 Enterprise to Windows 10 Enterprise LTSB. Note: To do that, Windows 10 Enterprise must be uninstalled before deploying LTSB.